Mark Helprin's enchanting and sweeping novel asks a simple question: can love and honor conquer all? New York in 1947 glows with postwar energy. Harry Copeland, an elite paratrooper who fought behind enemy lines in Europe, returns home to run the family business. In a single, magical encounter on the Staten Island ferry, the young singer and heiress Catherine Thomas Hale falls for him instantly but too late to prevent her engagement to a much older man. Harry and Catherine pursue one another in a romance played out in postwar America's Broadway theaters, Long Island mansions, the offices of financiers, and the haunts of gangsters. Catherine's choice of Harry over her longtime fiance endangers Harry's livelihood--and eventually threatens his life. 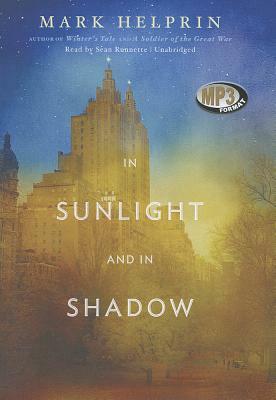 Entrancing in its lyricism, In Sunlight and in Shadow so powerfully draws you into New York at the dawn of the modern age that, as in a vivid dream, you will not want to leave.